We would like to congratulate Andrew Mears, PE, who recently celebrated his 5th anniversary with Vierbicher. Andrew started working for Vierbicher on August 19, 2013. 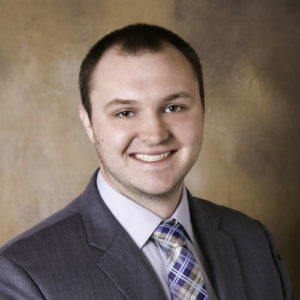 Andrew has a Bachelors of Science degree in Civil and Environmental Engineering from the University of Wisconsin - Platteville. Andrew received his Professional Engineer license in February 2018. Andrew has been involved in numerous land development projects within Dane County. Mears provides expertise in site design and land surveying. He has also been involved with notable projects such as The Watermark Lofts, Middleton Center and The Lyric. He has also provided surveying support for a multitude of projects including Sand Valley Golf Resort and Exact Sciences Corporate Campus. Please join us in congratulating Andrew.